OWSP receives grant from World Children’s Fund – One World Sight Project, Inc.
NEWPORT BEACH – June 16, 2008 – The One World Sight Project today received a grant from the World Children’s Fund, a non-profit organization based in Europe, to assist needy children in Africa. “We are excited to be working with the World Children’s Fund and look forward to doing as much as we can to help eliminate curable blindness together,” said Richard Weiss, M.D., president and founder of the One World Sight Project. The grant will be used to implement a project in conjunction with the Kilimanjaro Center for Community Ophthalmology to provide vision screenings and cataract surgery for children in Tanzania. 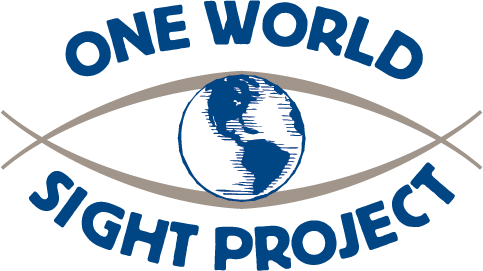 The One World Sight Project was created by Richard Weiss, M.D. in 1989. Weiss was inspired to create the One World Sight Project to combat curable blindness in the developing world by a song that he wrote about the plight of the blind in 1988. Soon after, Stevie Wonder’s participation as a nominal OWSP Special Advisor created unique consensus and excitement within the international ophthalmology community that led to the adoption of plans to eliminate worldwide curable blindness.